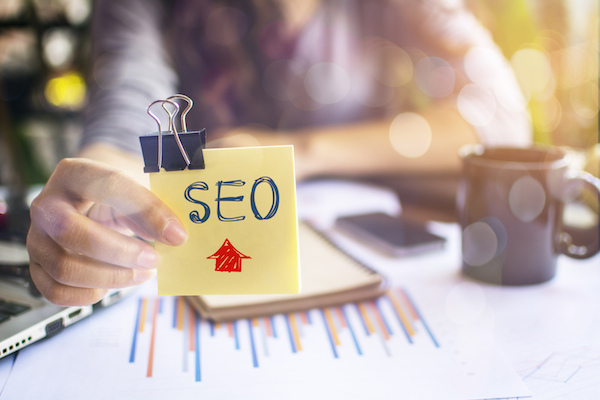 A few years ago, the sentiment was “SEO is dead.” Since then, search engine optimization has continued to become more prevalent — so you can rest assured it’s here to stay and will continue to evolve. 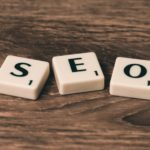 And as it does, make sure to watch out for the following five SEO trends in 2018. One of the benchmarks of any viable SEO campaign is keyword research. It always has been and will remain prevalent for you to find the right phrases and words your target customer uses to find solutions to their problems. These problems should be answers your company, product, and content looks to solve. The best strategy is to have a primary keyword followed by a secondary set of keywords focused on your target customers intent. By infusing these keywords — both short tail and long tail — into your content and marketing strategy, you can attract the users who are looking for the solutions you provide. Schema markup is a code placed within your content to help search engines “understand” the content on the page and provide more informative results for users. Simply put, schema tells search engines what your data actually means — not just what it says. Let’s say you provide a recipe for your famous “chocolate chip cookies.” Search engines may notice this and produce a SERP entry with “chocolate chip cookies.” However, with the right schema markup around “chocolate chip cookies,” you can tell the search engine it’s a recipe, and not just a collection of words. Schema markup allows you to increase the visibility of your content as well as target users who are looking for “chocolate chip cookie” recipes. There are literally hundreds of different markup types. Take your content to the next level by using the right schema markup at the right time. If you are looking to renovate your 1969 El Camino, would you rather get advice from a Chevrolet mechanic or a computer programmer? It’s the same premise with content creation for SEO. It’s vital to have content created by someone who is credible and knowledgeable about the subject. When you do, you exponentially increase the chances of someone linking to your content (back link building). You also increase the chances of your content being shared socially and being seen by more people — both of which are strong SEO signals. On the other hand, providing content that is inaccurate can result in negative SEO because it can increase your bounce rate. No one — and we mean no one — likes to wait. We live in the digital age of information where everything is accessed by the click of a button or the swipe of a thumb, so it’s critical your page is up to speed. Let’s explore why it’s imperative to optimize your page for speed. Did you know it takes the average visitor a mere three seconds to determine if they’re willing to hang out while your page loads. Unfortunately, if your pages takes the full three seconds to load, users are already bouncing from your site. The more users bouncing from your site will send a negative signal to Google, which can adversely affect your SEO. How important is speed? If your page load time slows from 1 second to 3 seconds, the likelihood of a user bouncing increases by 32%. If your page load time slows from 1 second to 5 seconds, the likelihood of a user bouncing increases by 90%. If your page takes up to 10 seconds to load, the likelihood of a user bouncing increases to 123%. Even more so, pagespeed has long been projected to be a ranking factor. It’s been proven time and time again, that the faster your site, the better your SEO. It’s vital you use the right tools and take the right steps to increase your site speed. Contrary to popular belief, Google still uses the actual meta description from your page. Even more so, Google uses the title from your page. 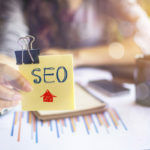 The way search engines display your meta title and meta descriptions have gargantuan implications to whether a user will choose your listing or continue scrolling. Because of this, you should always optimize your meta titles and descriptions from a search engine perspective as well as a user perspective. Are you looking to improve your brand’s digital presence and SEO? We can help. Let’s talk. With nearly two billion users, Facebook is the largest social network and should be an integral component in your marketing efforts for your business. 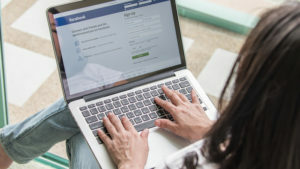 However, the recently announced Facebook algorithm changes have left business owners scratching their head and scrambling to find a solution to stay relevant. 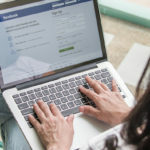 In summary, Facebook users will see an increased amount of content from family and friends, while content from publishers and brands will be decreased. What happens to all of your “Buy Now” or social media posts loaded with heavy sales content? It will immediately be pushed to the back of the line and lose visibility. Even with the changes, there are methods and best practices businesses can use to stay relevant and continue reaching new customers. Continue reading for a few actionable tips and best practices you can use. Under Facebook’s new algorithm, videos will still be favored. Yet, Facebook Live videos will be even more important — generating six times as many interactions as regular videos. In Zuckerberg’s announcement, he explained live videos are more likely to lead to discussion among Facebook viewers, which is the ultimate goal of the algorithm update. Facebook Live videos represent one of the few concrete examples of the types of preferred content under the new algorithm. If you haven’t already invested the energy and time into sharing live video content, now is the perfect time to do so. In the process, you can increase the likelihood of inspiring discussions among users and increasing the reach of your business. Prior to the algorithm update, Facebook Groups operated on the basis of audience engagement. You can expect this format to continue, and Facebook Groups can serve you well under the updated algorithm. Make sure to find different ways of engaging your customers with Facebook Groups. You may find great success creating Groups for Business pages as a way to establish your own distinct community and feed surrounding your product or business. Can you hear me now? A large majority of Facebook users scroll through their timeline while in meetings or at work while the sound off. Make sure to use text elements to increase the accessibility of your video. Don’t create content, tell stories. When you’re creating videos, make sure there is a narrative to show your users instead of only telling them. Think inside of the box. Creating a mobile-friendly video square is an effective way to make your content stand out from the crowd. If you haven’t noticed, organic has been on a steady decline over the last few years. So by now, you should already be pretty proficient at Facebook ads. And since Facebook is prioritizing content from publishers and brands, your abilities to create lucrative ads becomes more important than ever. You must be able to effectively target the right audiences to ensure you get the best ROI on your advertising dollars. If you need help in this department or in optimizing your social media presence, we can help.